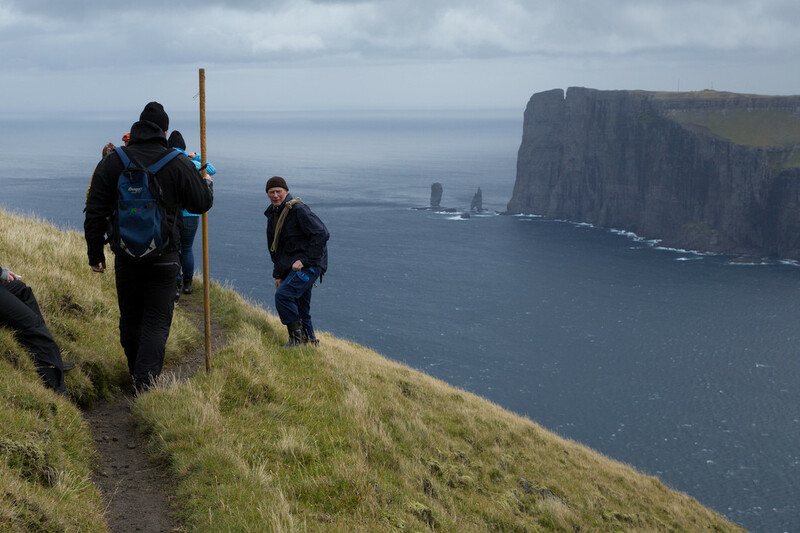 The Faroes are a cluster of 18 islands in the North Sea, about halfway between Iceland and Scotland. The topography is green and treeless, much of it rolled out atop steep basalt cliffs. 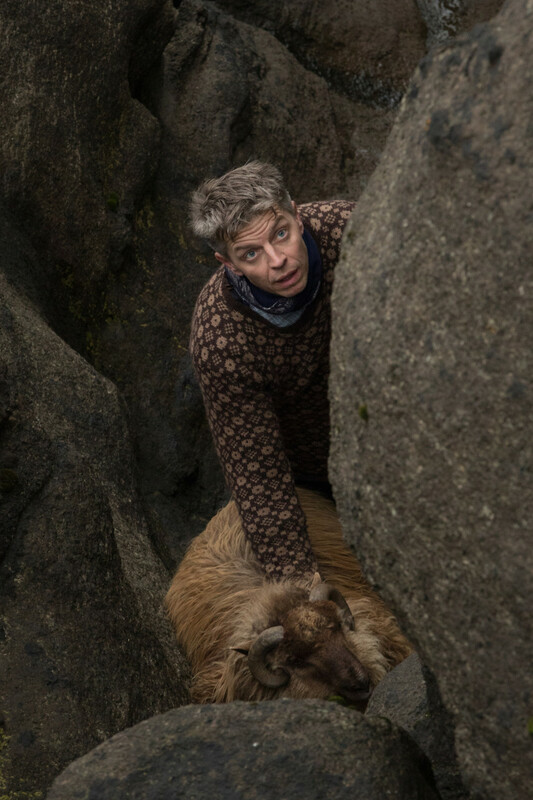 It’s a somewhat unlikely place for grazing sheep—indeed, for carving out a livelihood of any sort. 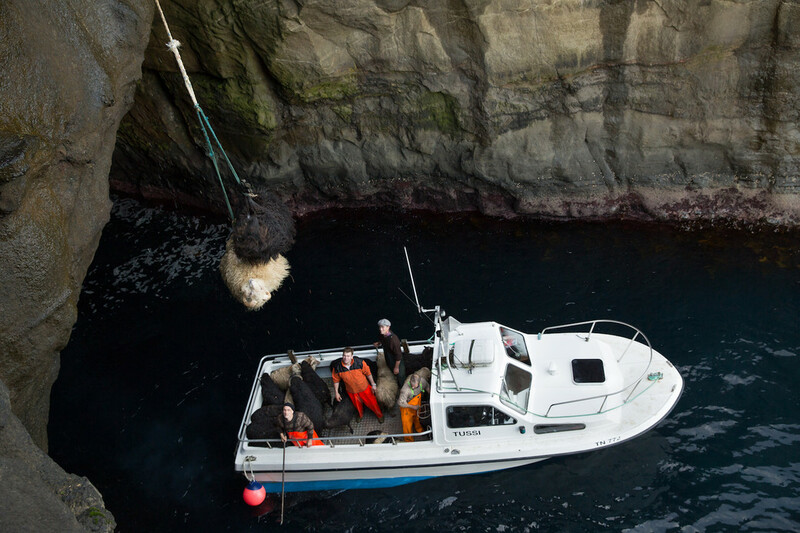 And yet the Faroese have adapted admirably to conditions here for more than 1,200 years. 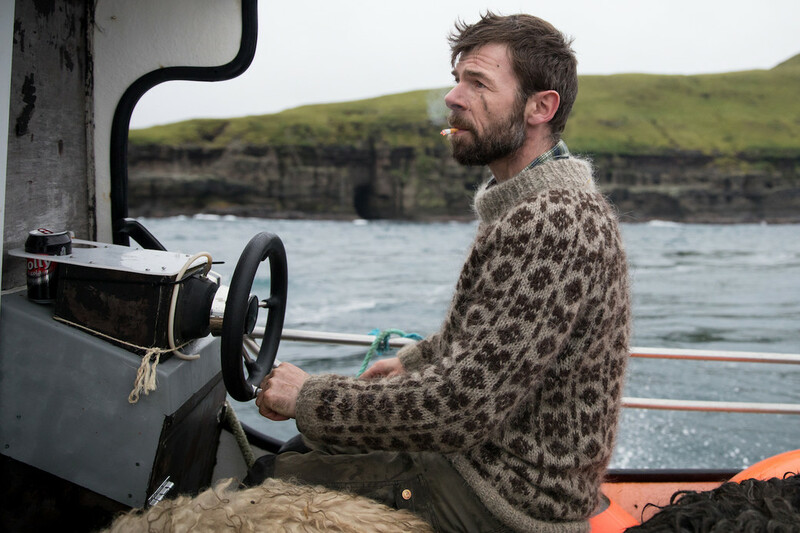 The Vikings settled this isolated archipelago around 825 A.D., bringing their domestic animals with them. 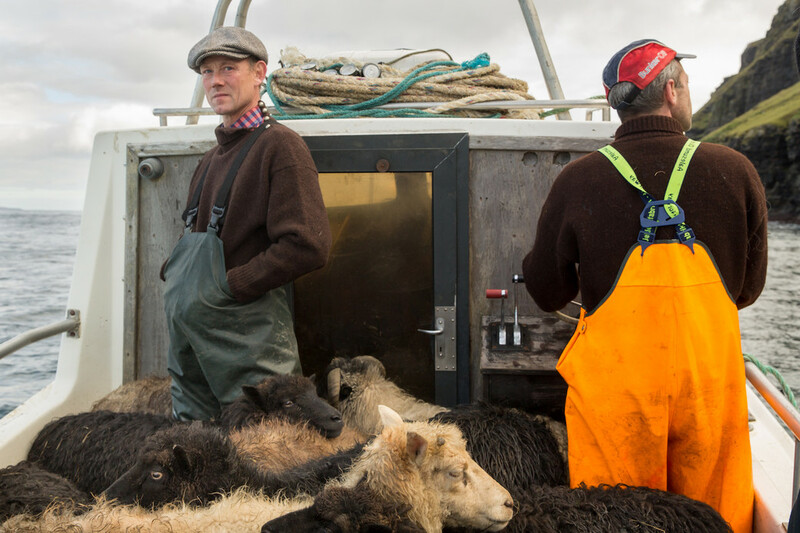 Herding sheep wasn’t all these expert seamen did, but it was a defining cultural practice. 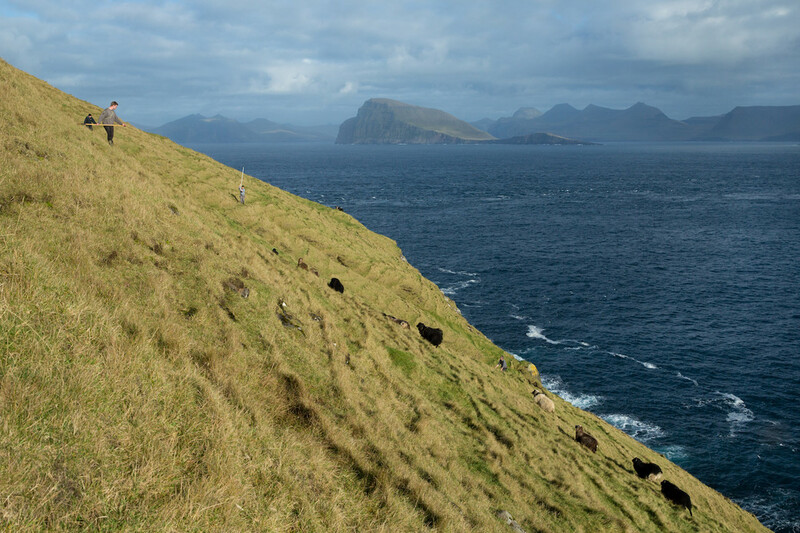 Faereyjar, or Faroes, translates as “Sheep Islands.” The nation’s oldest surviving document is the Seyðabrævið, or “Sheep Letter,” a set of livestock laws and Constitution of sorts drawn up in 1298. And for centuries a basic economic unit was the mørk, enough pastureland for eighty sheep. Livestock was smaller then; eighty of the old type equates to about forty modern sheep. One thing both types have in common: tolerance of grassy, cliff-protected moorlands that can be hugely challenging to get to. 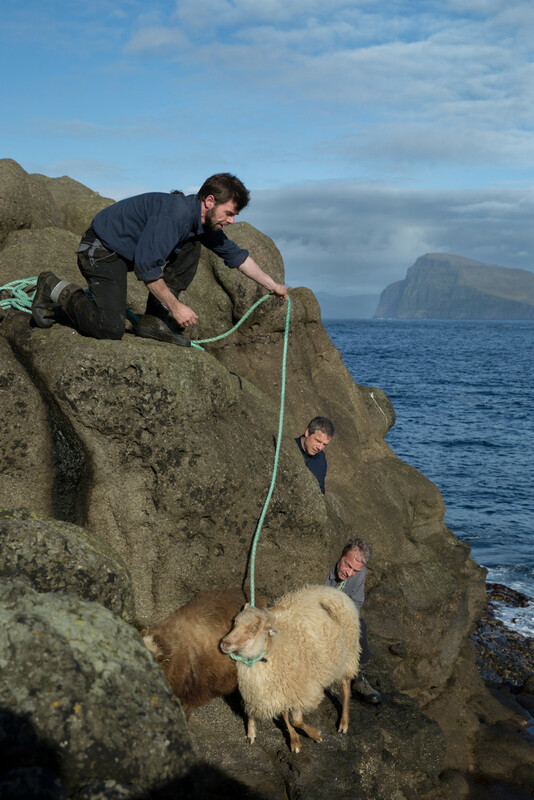 And yet the Faroese continue to graze sheep in these hard-to-access spots—for practical reasons (including as a sort of quarantine for the breeding stock) but also for the sense of continuity and communal solidarity to be gained from the fall muster, when groups of locals scale the rocks together to bring animals back for slaughter. 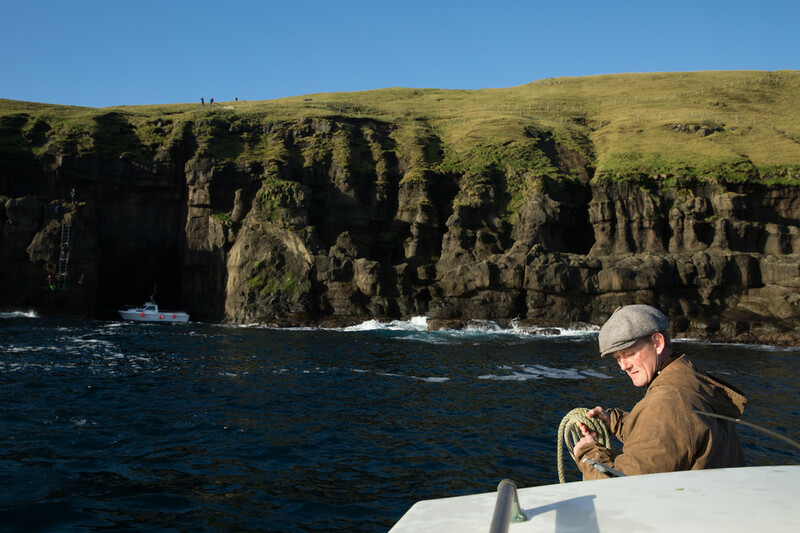 A fall muster also happens at Stakkurin, a 425-foot sea stack just off the northern coast of the main island of Streymoy. 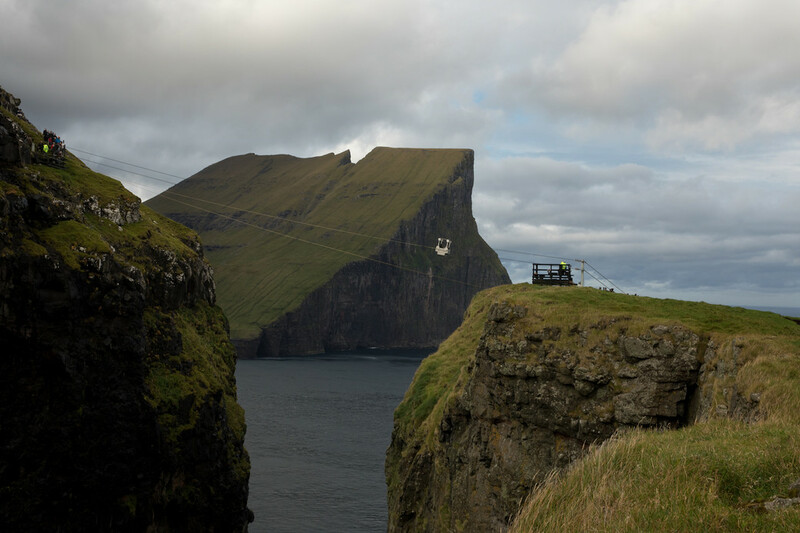 The first Saturday after September 20, residents of nearby Tjørnuvík hike six tough miles and traverse a narrow sea channel via cable car. The herders chase the sheep down into a makeshift pen, then send them over, legs bound, in the aluminum, hand-pulled car. Everyone walks back into town together, singing traditional hymns during the last mile. 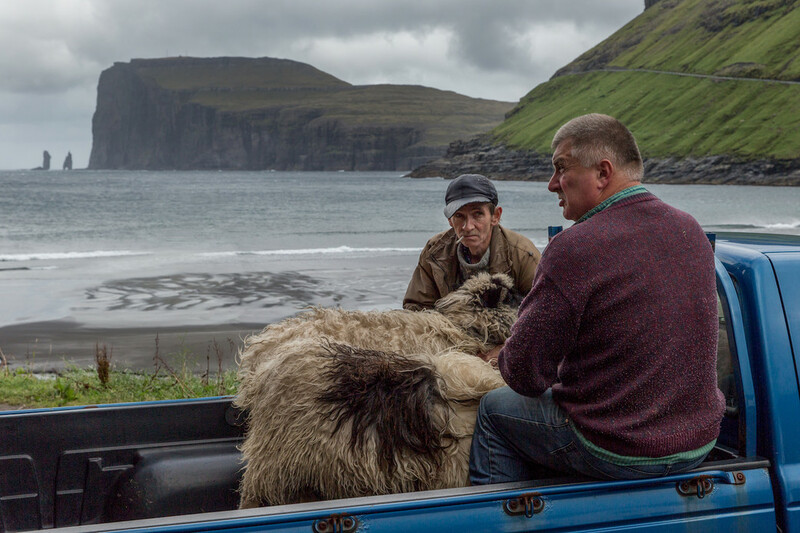 At the auction that afternoon, all the buyers are local: Though free-range Faroese lamb would no doubt fetch good prices abroad, health and safety regulations forbid the islanders from exporting it. In the twenty years that Stakkurin committee foreman Jógvan Magnussen has been participating, the technology has advanced: the Stakkurin muster now makes use of GPS, drone photography, and walkie-talkies. But it still feels like something special. “We try to be faithful to the traditions so people can have a different day from everyday life,” Magnussen says. The muster is a connective thread to the past, when families burned peat for warmth and spun woolens by lamplight. 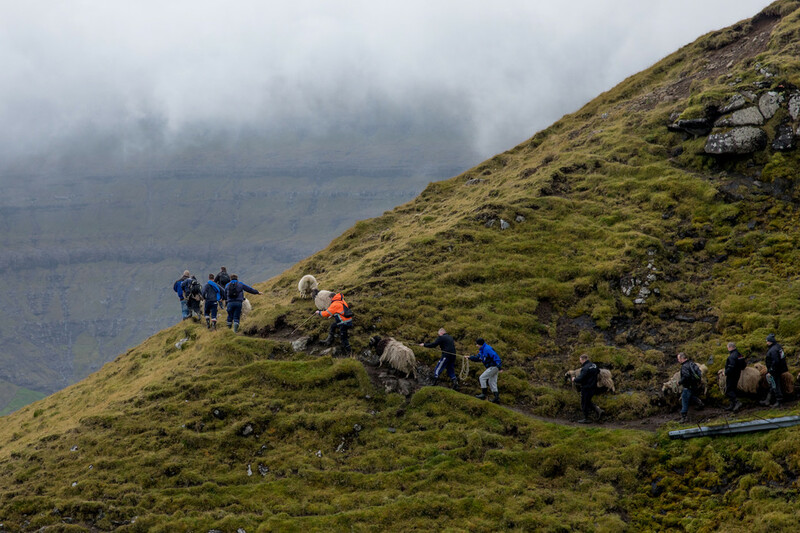 It’s also a reminder that even if today’s Faroese enjoy some of the best roads, fastest WiFi, and most comprehensive healthcare on the planet, they inhabit the same challenging (and occasionally deadly) landscape that their ancestors did. “You try to make sure everything is safe, but you can never guarantee anything—same as most other things on the island,” Paturson says. When he talks about “extreme ranching,” he is only being somewhat tongue-in-cheek. 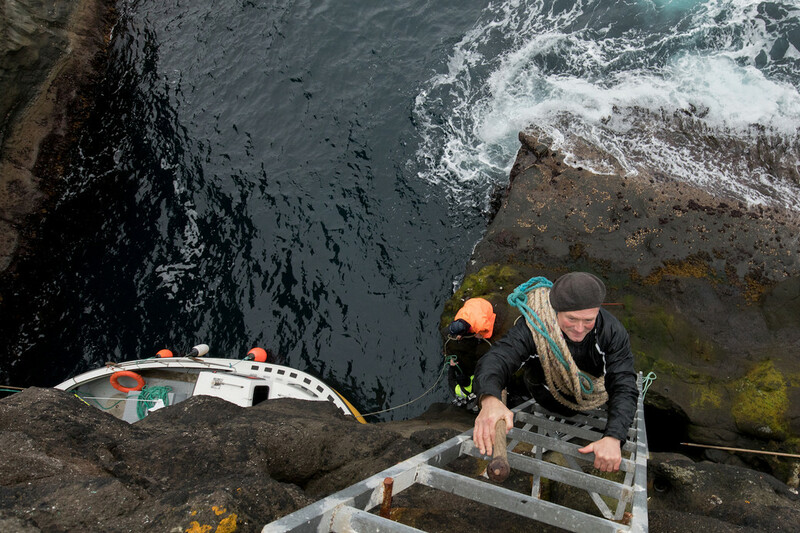 A few days before Paturson spoke to us, a man had fallen a thousand feet into the sea while mustering and died.